Main Street Financial Solutions works on a fee for service basis, and we do not seek or retain any commission or any other form of renumeration from fund managers, investment suppliers or investment platform providers (other than personal insurance – please see below). 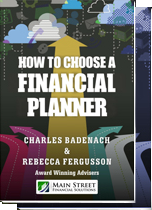 Our advisers are not required to promote any particular investments or products from any provider. How do Main Street’s costs compare ? Comparing the cost of one service against another is never easy as often the total cost is not obvious. At Main Street we provide professional, personalised, accessible and cost effective advice in a boutique environment. With a transparent fee for service structure with no entry or exit fees, clients are able to leave at anytime – they very rarely do ! The initial meeting which you have with your Main Street adviser is at our cost, as it is important that we can help you and it also gives you an opportunity to consider whether you would like to work with us going forward. At the initial meeting we would normally have a general discussion about your needs, objectives and circumstances as well as answering any questions which you may have. Main Street Financial Solutions would normally prepare a Statement of Advice on your behalf which sets out in writing the strategic advice for you together with any investment or insurance recommendations. In preparing these documents we would normally contact your accountant, lawyer, existing insurance providers, investment managers and any other relevant party to ensure that we have a complete overview of your situation before proceeding. Prior to undertaking any work on your behalf we will send you a Terms of Engagement letter which sets out the issues we will cover the cost involved. After receiving written approval from you, we would then prepare the Statement of Advice for you. Achieving your financial goals over the long term will ultimately depend on the ongoing monitoring and review of your financial arrangements. 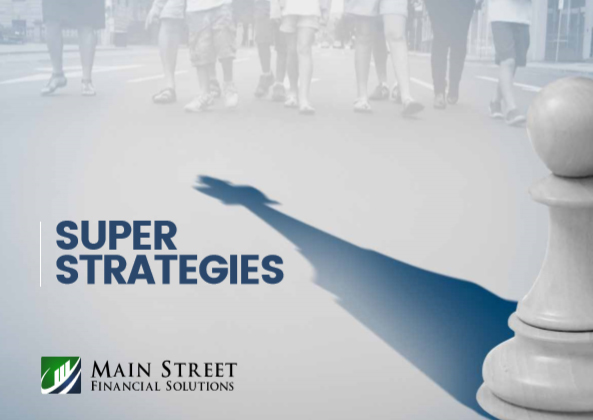 At Main Street FS we have a range of service packages available to you to ensure that your financial objectives will continue to be met over time. We will work with you to help determine what ongoing service level you will require going forward. The world is constantly changing and there will be times where you need to adjust your strategy to take advantage of these changes and we can assist you with this process. The amount which you will pay on an ongoing basis will depend on your particular needs and circumstances. At Main Street we recognise that every client has individual needs and we will tailor the ongoing fee to suit your individual circumstances. Our minimum fee is $4,400 per annum. We will discuss this in detail at our meetings with you. All transactions to buy and sell investments on the Australian Stock Exchange will be managed by Main Street Financial Solutions. We have outsourced settlement to CommSec Adviser Services. They will charge you .55% of the value of each transaction to cover their expenses and the provision of investment research that supports our recommendations. The minimum charge per transaction is $55. Personal insurance is a necessary evil for us all and at Main Street Financial Solutions we take great care to identify and recommend insurance that provides the best value for our clients in terms of cost and the terms of the policy. In line with industry practice Main Street Financial Solutions receives a commission for any personal insurance recommendations which we make.